Do you want to know the winners name of P.C. Chandra Jewellers Goldlites Diva 2016? Who was crowned the Goldlites Diva title in 2016? Are you looking for the names of all Winners of GoldLites Diva 2016 Contest organized in Kolkata? P.C. Chandra Jewellers in association with t2 presents Goldlites Diva 2016 just finished at Nicco Park, Kolkata. This is the third year of GoldLites Diva Beauty Contest organized in Kolkata by P.C. Chandra Jewellers and T2 Magazine. Approximately 8000+ registrations were made from 80 Colleges in West Bengal in this year's Gold Lites Diva Contest of Kolkata. After a long journey through tough fitness training, modeling training, bikini session and other rounds; total of 28 contestants were selected for Final of 2016 GoldLites Diva Contest. Judges of P.C. Chandra Jewellers Goldlites Diva 2016 were Tollywood actress Koyel Mallick, Bengali film director Sudeshna Roy, P.C. Chandra Jewellers Deputy Managing Director Amitava Dutta and Fashion designer Mandira Wirk. P.C. Chandra Jewellers GoldLites Diva 2016 Miss Photogenic Title Winner - Sayantika Saha Bhadra. P.C. Chandra Jewellers GoldLites Diva 2016 Miss Beautiful Smile Title winner - Rajanya Nandi. Miss Beautiful Smile Rajanya is a 1st Year student of Jadavpur University (Kolkata) in Sociology department. P.C. Chandra Jewellers GoldLites Diva 2016 Miss Congeniality Title winner - Ahiri Biswas. Miss Congeniality Ahiri is a 1st Year Student of Food & Nutrition department in Vidyasagar College, Kolkata. P.C. Chandra Jewellers GoldLites Diva 2016 Miss Beautiful Hair Title winner - Madhushree Dutta. Miss Beautiful Hair Madhushree is a 1st Year student of English department in Bhawanipur Education Society College, Kolkata. P.C. Chandra Jewellers GoldLites Diva 2016 Miss Perfect Catwalk Title winner - Tanushree Sarkar. Miss Perfect Catwalk Tanushree is a 2nd Year student of Bengali department in Gour Mahavidyalaya, Malda. P.C. Chandra Jewellers GoldLites Diva 2016 Miss Beautiful Eyes Title winner - Trishita Ghoshal. Miss Beautiful Eyes Trishita is a 2nd Year Sociology student studying in Sarojini Naidu College for Women, Dumdum (Kolkata). P.C. Chandra Jewellers GoldLites Diva 2016 1st Runner-up Title winner - Oindrila Bose. First Runner Up Oindrila is a 1st Year Student of English department in Vidyasagar College, Kolkata. P.C. Chandra Jewellers GoldLites Diva 2016 2nd Runner-up Title winner - Priyanka Mishra, Second Runner up Priyanka is a Graduate in History from Rastraguru Surendranath College, North 24-Parganas. Miss Beautiful Eyes, Miss Beautiful Hairs, Miss Beautiful Smile, Miss Photogenic, Miss Congeniality, Miss Perfect Catwalk and Miss Confident title winners received Rs.10000/- Gift Cheque of P.C. Chandra Jewellers. 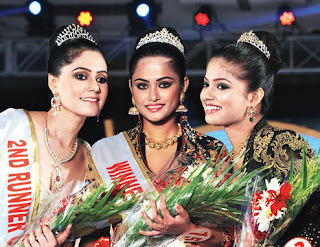 Goldlites Diva title winner, 1st Runner up and 2nd Runner up won Rs.1 Lakh, Rs.50 Thousand and Rs. 25 Thousand respectively. This is not the end, all Finalists will get Modeling opportunities from P.C. Chandra Jewellers as well. If you are looking for participating in P.C. Chandra Jewellers Goldlites Diva 2017 Contest, then keep visiting us to complete online registration process.